Perhaps you need a refreshment after lounging by the pool, or after enjoying the sunshine on a warm summer day. 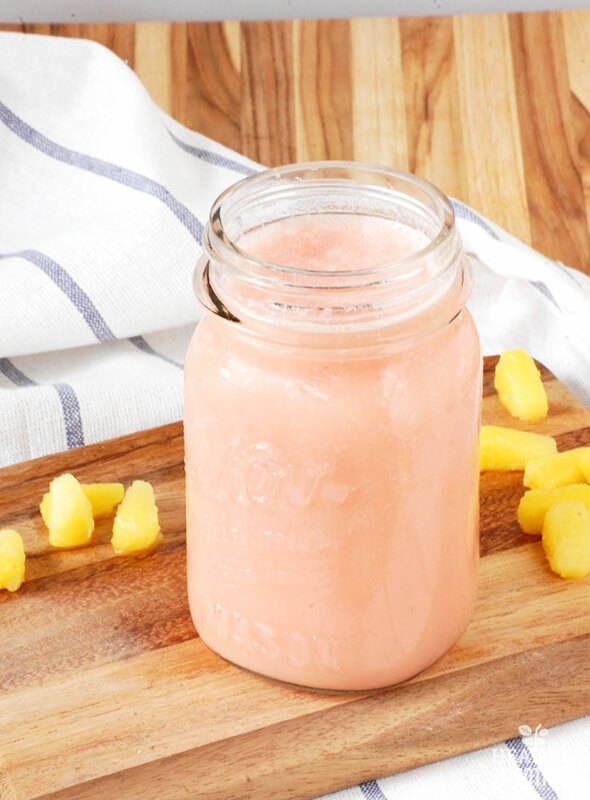 This smoothie is full to the brim with hydrating watermelon, tropical pineapple, and creamy coconut. It also happens to be a wonderful drink for better digestion. 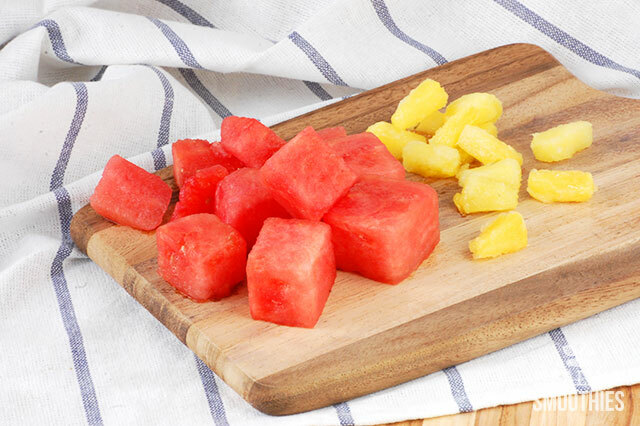 Watermelon will help keep you hydrated, considering it is made up of over 90 percent water – unsurprising given its name. Because watermelons are mostly made up of water, many people are unaware of how beneficial they are for your health. The fruit contains quite a few vitamins and minerals, including vitamin A, vitamin B6, vitamin C, and potassium. Watermelon is a natural and rich source of the amino acid citrulline, which is actually present in every part of the melon (the seeds, fruit, and rind). The body converts this into arginine, which helps to relax blood vessels and improve circulation. The large melon is also one of the best sources of lycopene. This phytonutrient gives watermelon its red pigment, and can likewise be found in tomatoes, grapefruit, and papaya. Lycopene may reduce the chance of developing heart disease, along with decreasing bad cholesterol levels. It is linked with a lower risk of prostrate and stomach cancers as well. 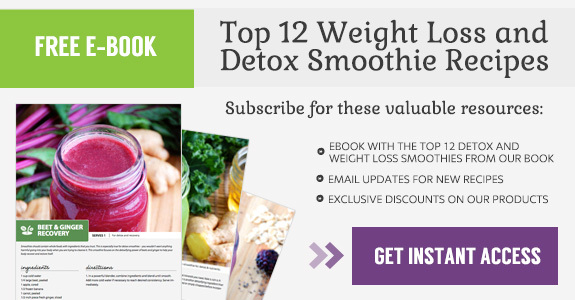 Pineapple is added to this smoothie to balance the flavor and to provide even more health benefits. Pineapples contain more fiber and vitamin C than a watermelon, improving your digestion and strengthening the immune system. Additionally, pineapples have a rich supple of manganese, which aids in the development of strong bones and tissue. Moreover, pineapples are one of only fruits that possess the enzyme bromelain. Bromelain may alleviate joint pain and arthritis by reducing inflammation, as well as preventing the growth of tumors. 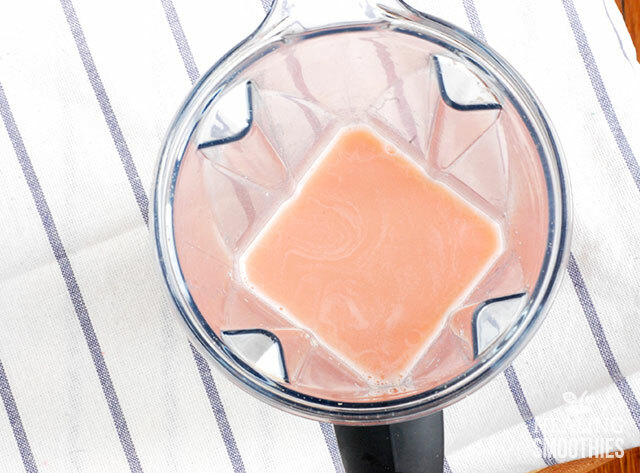 The pineapple in this smoothie doesn’t overpower the delicious watermelon taste. 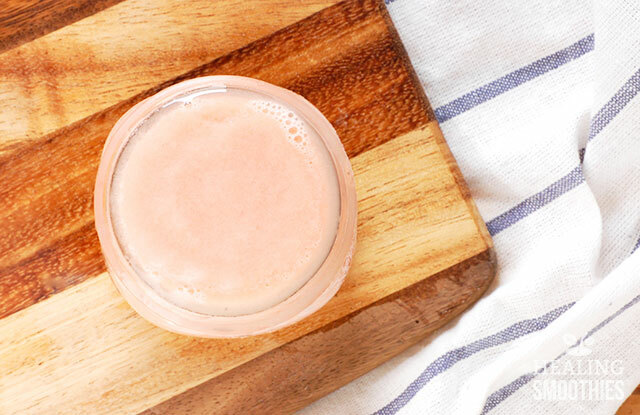 Coconut milk is the perfect accompaniment to make a creamy, summery smoothie. Enjoy the drink outside on a hot day to cool off. 1. In a large cup (if using an immersion blender) or a blender, combine ingredients and blend until smooth. Add ice if desired. Serve immediately.